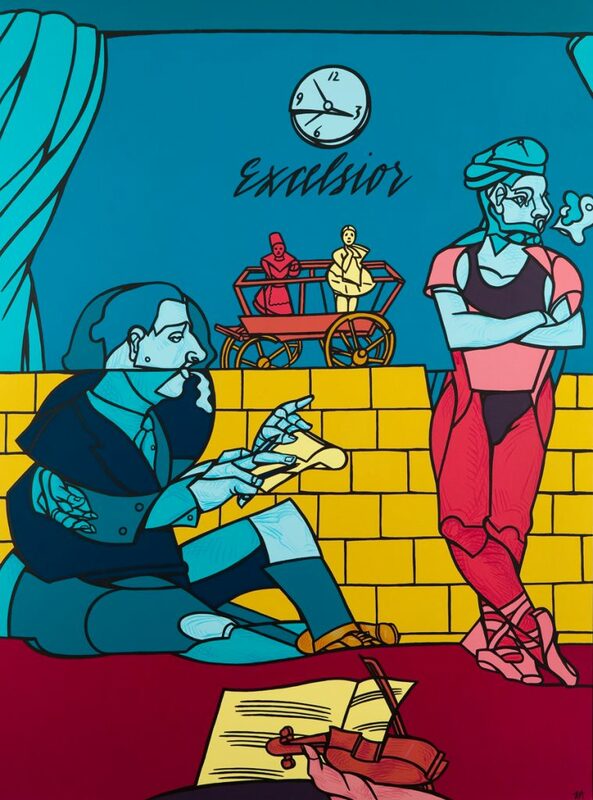 Valerio Adami, a major figure in the Narrative Figuration movement, is returning to Brussels with a show at Galerie Templon, forty years after his last solo exhibition at the Palais des Beaux-Arts in 1966. 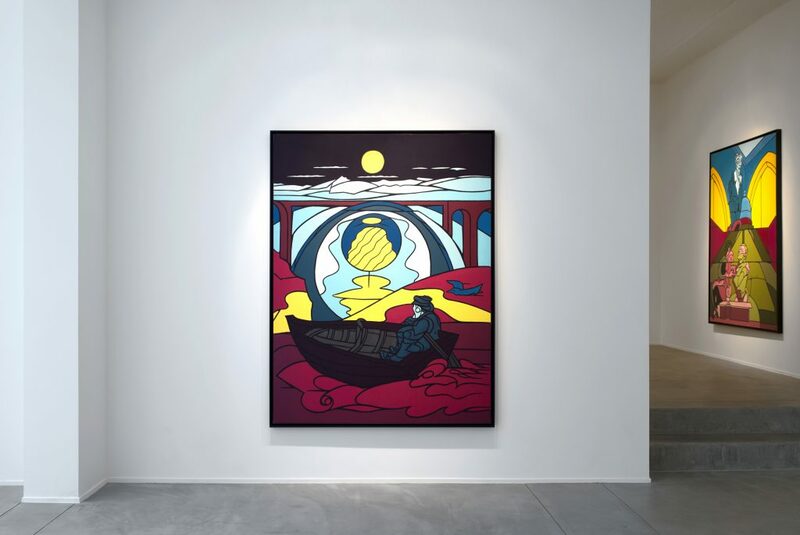 The Galerie Daniel Templon exhibition invites visitors on a journey around his recent works, marked by the familiar elegance of the artist-philosopher’s approach. 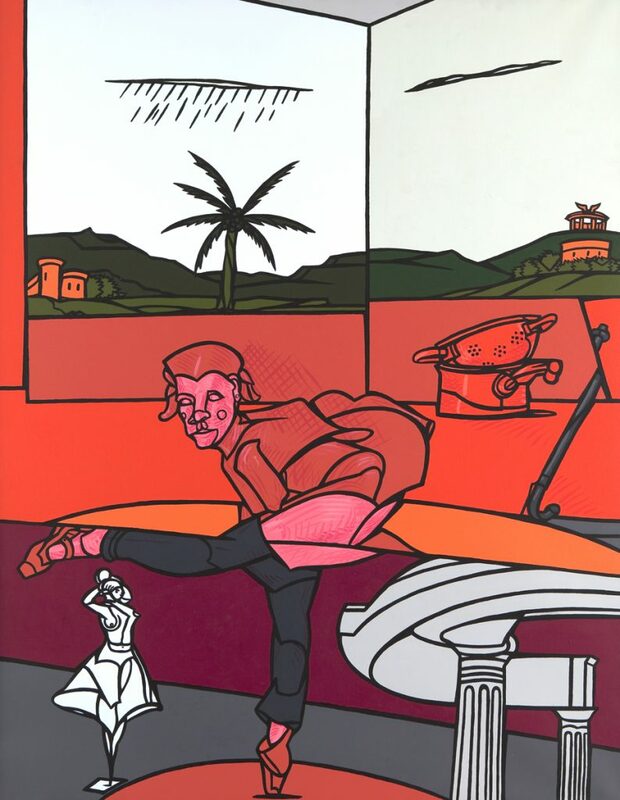 Valerio Adami puts together complex allegories in compositions that feature his favourite themes: travel, music, literature and theatre. Despite the sparkling colours that light up the canvases, the figures who populate them often seem to be prey to introspection and melancholy. Each scene describes “the imminence of a tragedy” (Daniel Arasse). 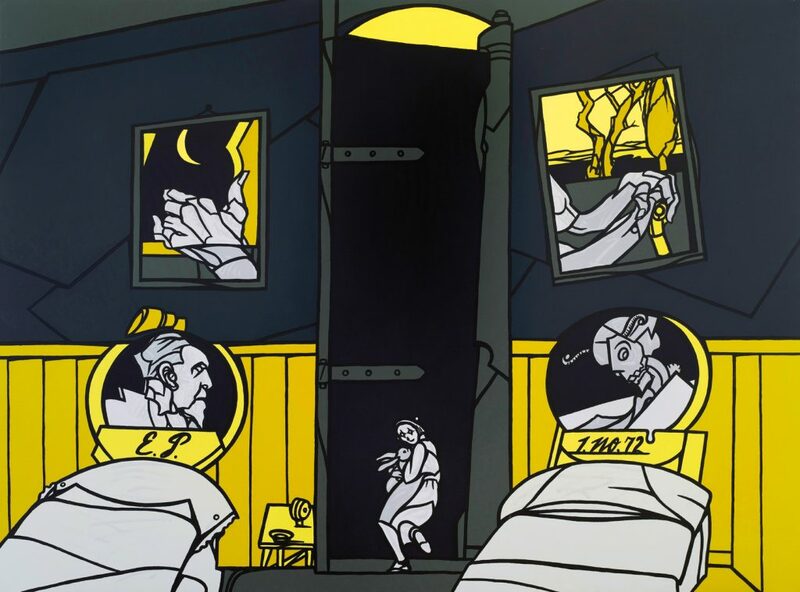 His highly distinctive painting style, with its blocks of colours outlined in black, conjures up the fragility of life and the possibility of salvation through art. Drawing – its lines inextricably linked to words – is a “way of thinking” while colour, which redefines it, gives it its character. Ever present at the heart of his work, which he defines as philosophical interrogations of the verb, lies the concept of enigma, accompanied here by an abundance of literary references. 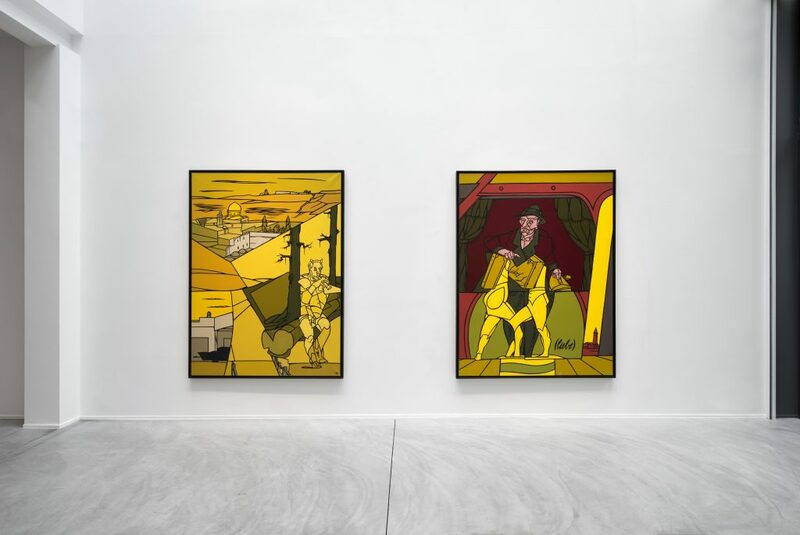 Installation views of Valerio Adami’s Recent Works, at Galerie Daniel Templon Brussels. 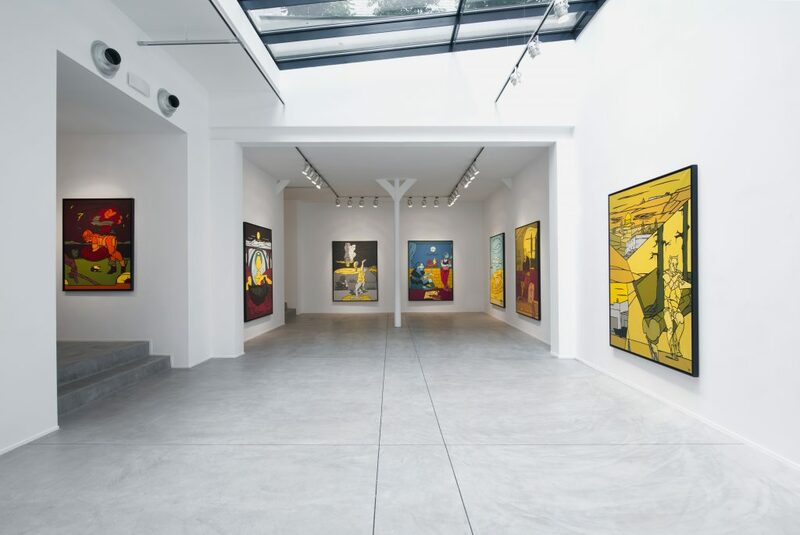 Courtesy of the artist and Galerie Daniel Templon, Paris and Brussels. Photographies: Isabelle Arthuis. Acrylic on canvas, 198 x 147cm ; 78 x 57 7/8 in. 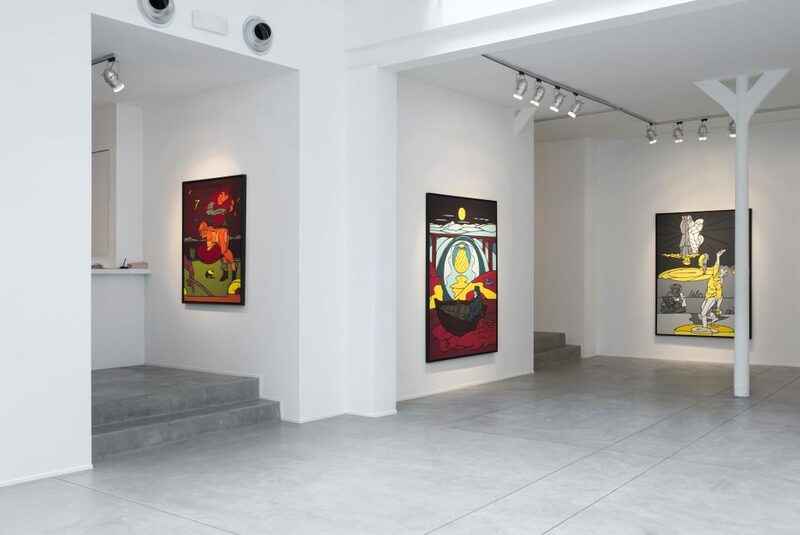 Courtesy of the artist and Galerie Daniel Templon, Paris and Brussels. Acrylic on canvas, 147 x 114cm ; 57 7/8 x 44 7/8 in. Acrylic on canvas, 147 x 198 cm ; 57 7/8 x 78 in.